A lightweight, hoodie-style puffy designed with responsibly sourced, 800-fill HyperDRY™ down, the Pinion Down Pullover is an essential for road trips, cold mornings in camp and unexpected mountain town chills. Combining premium technical materials with laid-back yet flattering style that fits like your favorite hoodie, the Pinion Pullover is perfect for chilly camp nights and breezy summer concerts. Featuring a lightweight, abrasion- and weather-resistant Pertex® Quantum ripstop shell, the Pinion Pullover packs lightweight, cozy warmth thanks to its responsibly-sourced 800-fill HyperDRY™ water-repellent down. The pass-through front pocket keeps your hands warm when you’re relaxing around the campfire or strolling downtown for cocktails, and the zippered kangaroo pocket doubles as a stuff sack and turns the jacket into a soft, comfy camp pillow. Pertex Quantum® is built for maxium strength, while staying lightweight and soft without sacrficing resistance. Made with 20d nylon and a DWR finish, it's lightweight while still offering excellent wind resistance and water repellency. 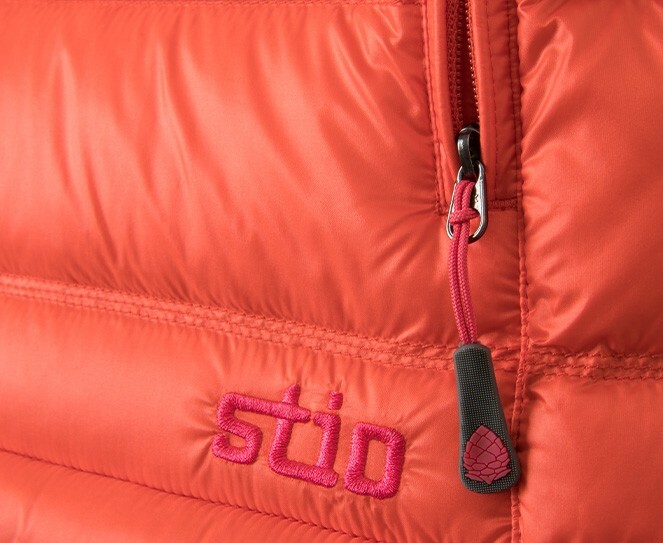 The shadow rip creates the look of traditional ripstop without the raised weave of the fabric resulting in a modern twist on a traditional outdoor fabric. Center back length 25 3/4"
A technical puffy with the comfort of your favorite hoodie. 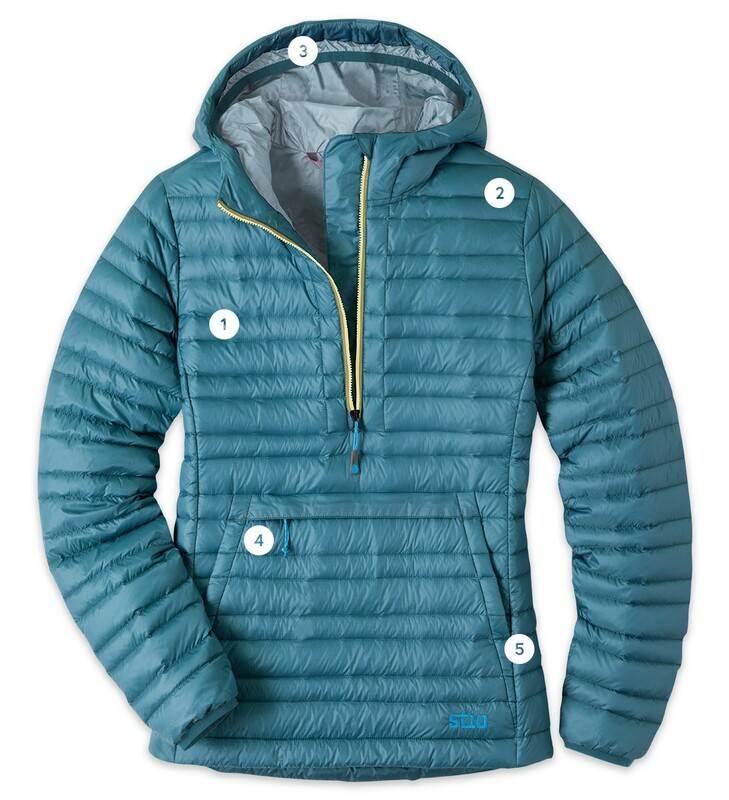 "You’d expect an anorak-style puffy to be as boxy and bulky as a quilt. But the Pinion’s great achievement is its tailored look."